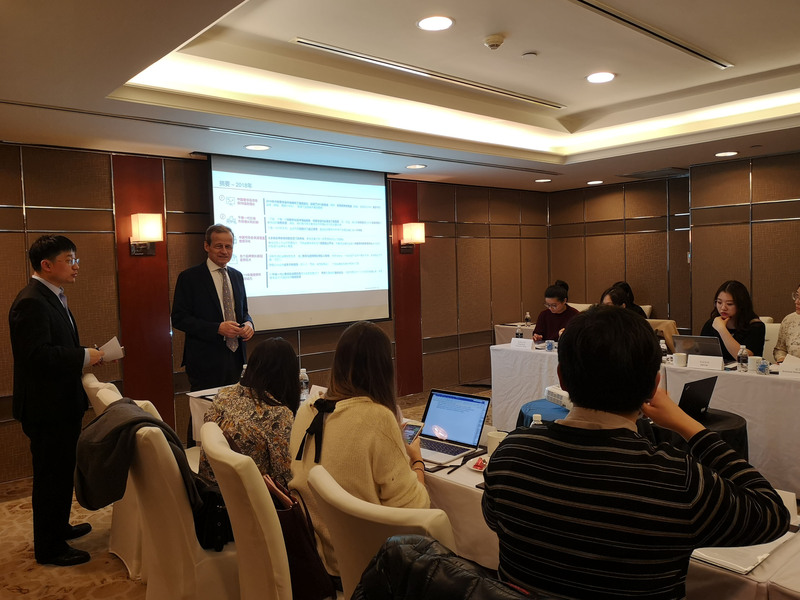 Shanghai – March 19, 2019 – The domestic luxury market in China reached new highs in 2018 of 20 percent growth for the second straight year, following its record-breaking 2017. Despite the robust growth, some companies over-performed with growth rates in excess of 25 percent, while others lagged with less than 10 percent growth. While luxury sales are robust in China, not every brand executive is optimistic. As their incomes rise, as they spend more on luxury goods, Chinese consumers also are becoming increasingly discerning. Some brands are more successful than others at serving these needs, resulting in a distinct polarization among the performance of luxury brands. These are the findings from Bain & Company’s annual China Luxury Report, released today. Like a powerful machine running on four engines and operating in perfect alignment, China’s luxury goods market has continued to thrive. The engines of this growth include increasing spending power among millennials and their growing exposure to global luxury brands as a result of digital and influencer marketing. 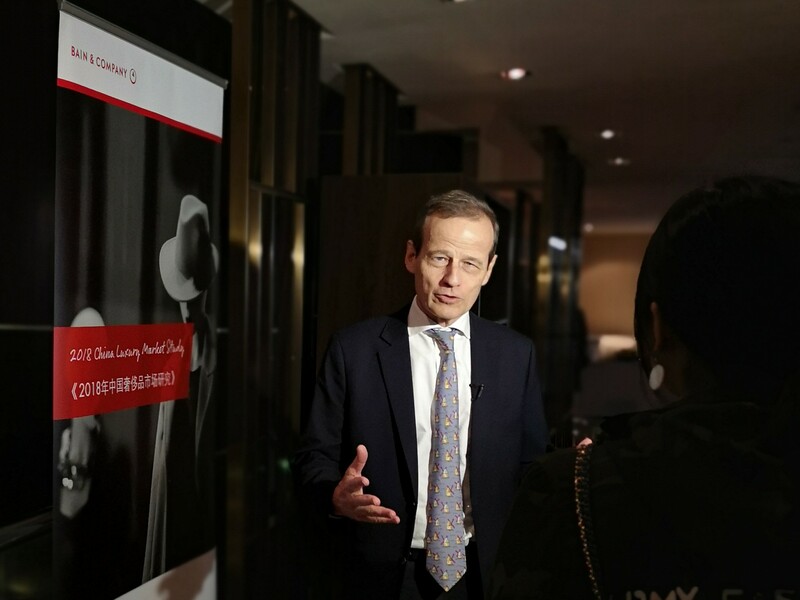 “Millennials will continue to be the main driver of the growth of this market in the future, as the average age of luxury consumers is much younger in China than anywhere else in the world.” said report author, Bain & Company Partner Bruno Lannes. •Millennials: Consumers aged 23 to 38 are willing and financially able to spend on luxury brands. A full 70 percent of China’s millennials own their own homes. That is twice the rate of US millennials. These young consumers are well informed about luxury and eager to embrace innovative trends such as the convergence of fashion and sportswear. Like their counterparts in all age groups, millennial women buy more luxury goods than men do. Cosmetics, a traditionally female category, grew by more than 25 percent in 2018 while, watches, predominantly a male category, grew by less than 10 percent. •Repatriation: The Chinese government’s reduction in import duties and stricter controls over grey markets, combined with brands’ efforts to narrow the price gap with overseas markets, has led more Chinese consumers to make their luxury purchases in China, instead of taking journeys to such previous bargain locales as Hong Kong, Singapore, New York and London. As Bain & Company predicted in its 2015 China Luxury report, repatriation continues to drive the growth of the luxury market. •Rapidly expanding middle class: The middle-class consumers will represent an estimated 65 percent of all households by 2027, according to research conducted by Bain & Company for the World Economic Forum. All signs point to a continuing rise in the average per-capita income among China’s urban population. 2018 is also a year of intense deal activity in the luxury e-commerce space, and we now see the emergence of 3 types of platforms: Brand.com, the JD/Toplife/Farfetch/Secoo ecosystem, and the Alibaba/Pavilion/YNAP/Mei.com ecosystem. 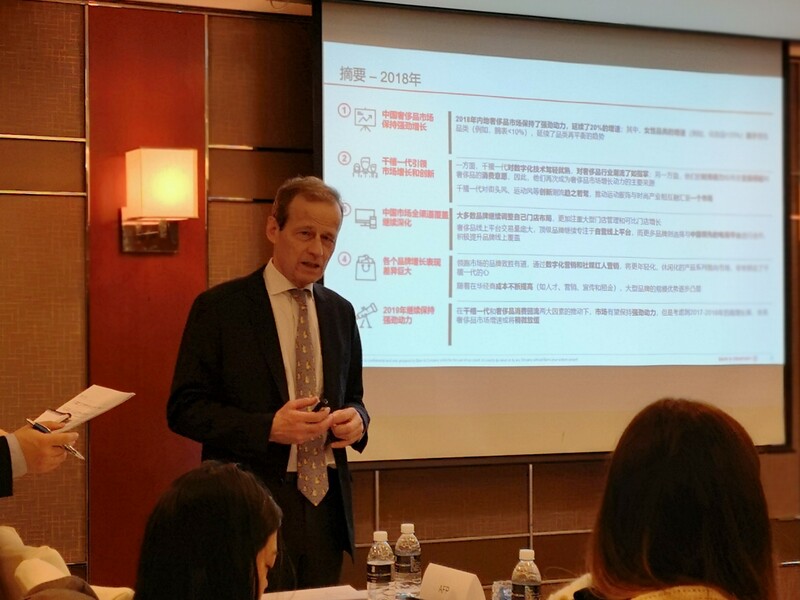 "The growth of the China luxury market is expected to continue as the 4 engines continue to play out in the future,” explained Lannes. Even as turbocharged engines inevitably lose steam, China’s economic growth slows, although in a controlled manner and real estate prices likely flatten, reducing the positive wealth effect of Chinese households, luxury brands can still expect a promising year ahead in China. However, Bain & Company cautions that while luxury sales will remain healthy, they won’t keep pace with 20 percent growth. Instead 2019 is more likely to be a year with growth in the low-to mid-teens. The engines driving luxury goods sales in China may not be unstoppable. But they show no signs of stalling out.